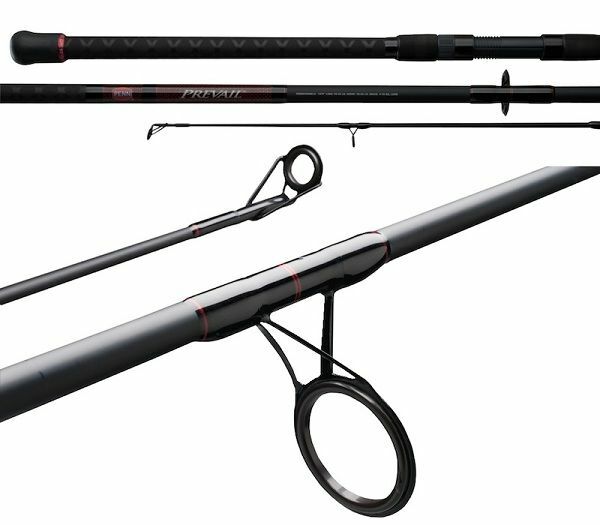 Penn Prevail Surf Spinning Rod comes with all the features anglers look for in rods, yet it costs just a half the price anglers pay for similar rods. It is a 2-piece rod that is easy to pack and transport. It is an excellent choice for anglers determined to catch stripers, perches, and lots of more fish. 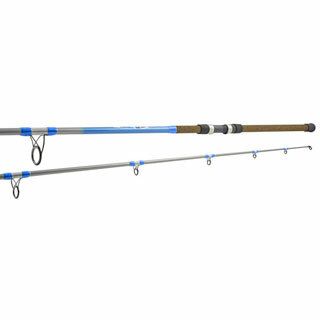 The rod is well constructed, looks nice and has the power you need to win any war against big fish along the shore. Each of Penn’s surf rod is rated depending on the weight and comes in different lengths ranging from 8’ to 12’. High-end surf rods come with many defects. 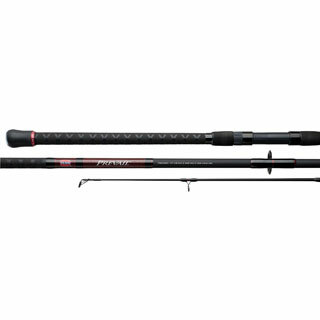 However, Penn Prevail Surf Spinning Rod has proved to be an exception because it has the strength and performs superbly well in all conditions. 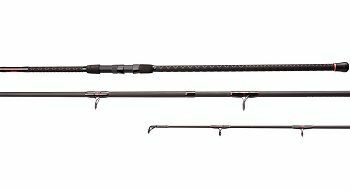 The rod comes with a 2-piece graphite composite blank, an aluminum oxide insert and a guide designed for fishing mono or braid. It has a rubber shrink tube that guarantees a tight grip irrespective of whether it is dry or wet. Note that the prevail matches Squall star drag conventional and PENN Sargus reel. The shield has carbon fiber applied on its outer and is intended to protect the guide wraps and the rod blank. Also, the rod comes with graphite reel seat guides made of stainless steel but which comes with aluminum oxide inserts. It also comes with rubber shrink tube hands that allow the angler to control the rod, especially when tackling a hard fighting fish. Penn Prevail Surf Spinning Rods comes in varying lengths ranging from 8.0’ to 12.0’, but which fits in a 3’ diameter rod tube. The length of the largest guide is 1/8‘, but it can fit in any rod tube. The great length means that the rods can be cast at a greater distance with ease while the shorter rods gives the angler an advantage when fighting the fish. The handle gives the angler more power and allows them to move the line quicker. Also, it gives the angler more control enabling them to set the hooks at a distance. Penn Prevail Surf Spinning Rods is a heavy rod that handles line weights of between 8- 30 lbs and can manage lures weighing ¾- 6oz comfortably. 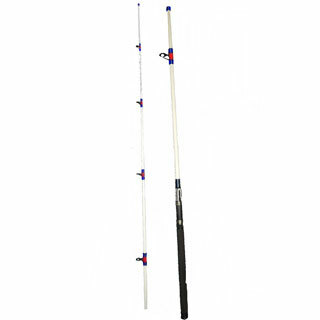 It is a fast action rod which can be used to target big fish. The rod blank is made of graphite component and aluminum oxide that gives it more strength and makes it handle higher lines with ease. 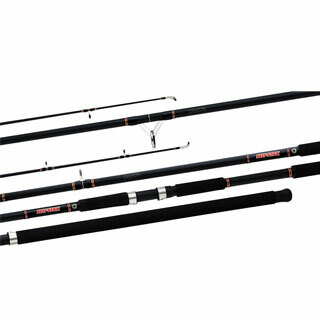 It is easier and quicker to get a hook set on this rod and requires less force compared to other rods. In a nutshell, the rod's weight is perfect and permits the angler to enjoy fishing. Penn Prevail Surf Spinning Rods recover faster after they have been cast even though it may take some amount of time to load. The rod is sensitive and enables the angler to feel the fish bite the bait since the blank is made of graphite which quickly transmits the feelings the angler experiences when the fish moves closer to the lure. Unfortunately, graphite is more brittle meaning that the rod should be handled with care to avoid instances of breaking. Penn Prevail Surf Spinning Rods come with aluminum oxide insert guides that give the rod the balance it requires. Also, it comes with shrink tubes that allow the angler a tight grip, which further increases its balance and sensitivity. This means that the angler will not feel fatigued when using the rod as long as they hold it at the fulcrum point. Holding it where the reel sits makes it balance better and allows the angler to cast it even further. 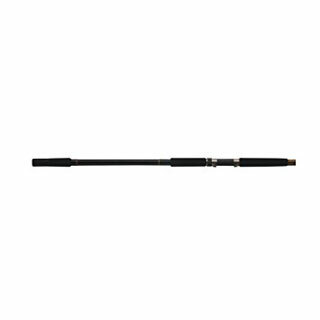 If you are a novice or experienced angler looking for a rod that is suitably designed for both surf and pier fishing, you need to try out Penn Prevail Surf Spinning Rod. The rod casts further, has a good action, which helps the angler detect when a fish bites the bait. 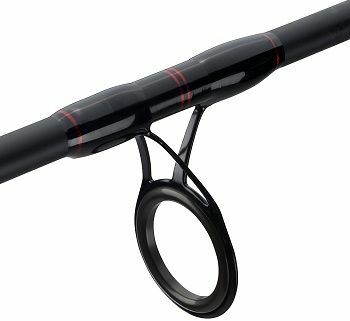 This rod allows the angler to use both the mono and the braided line depending on the distance that they want to cast or when fishing on the beach. The rod is light weight and could be cast all day long without getting tired.